Our relationship with Alcatel-Lucent transitioned in 2016. Nokia acquired Alcatel-Lucent, along with the world-renowned, innovation arm, Bell Labs. The latter is now formerly known as, Nokia Bell Labs. Today, we work with both Nokia and Nokia Bell Labs. Our work spans live events, exhibition booth design, and the application of creative technologies to showcase Nokia's latest innovations. Prior to the Nokia merger, we were the lead agency for Alcatel-Lucent's, tier one exhibitor presence at Mobile World Congress, Barcelona. Our booth design and content positioned Alcatel-Lucent as a trusted advisor, with a long history of game-changer innovations. We promoted the idea of living in an entertainment age – where content-rich, seamless experiences are the future. And Alcatel-Lucent, along with Bell Labs, sat at the nexus of this dynamic era, providing advice, systems and global services to many of the world’s largest telcos and IP infrastructure companies. We provided audience insights, design, build, filmic and digital content, logistics and hospitality management, as well as VIP ground transport and, ultimately, KPI analysis. 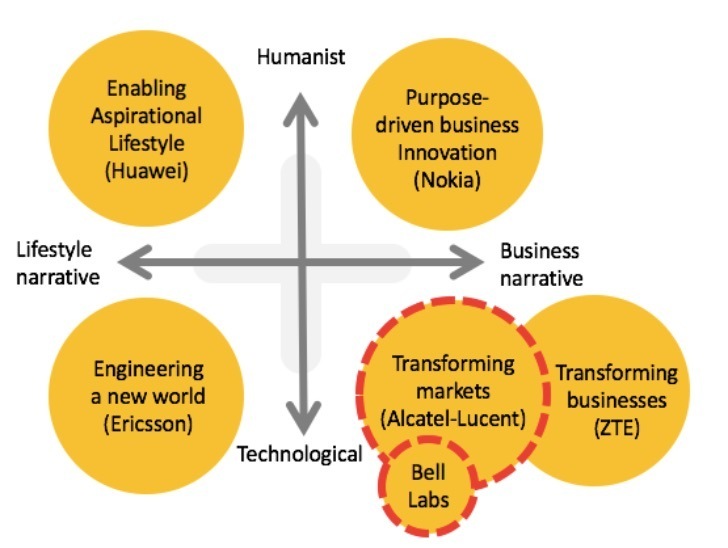 Nokia has carried forward the innovation narrative whilst introducing a humanist dimension to audience engagement and communications.